Anyone who loves music would go ga-ga over Marshall's top-quality earphones, speakers or even amplifiers. I want one for myself!!! :) When it comes to music, popular brand Marshall resonates, making it one of the go to products of musicians and music lovers because of its history and designs. It was founded in the 1960's by drum shop owner and drummer, Jim Marshall. Marshall guitar amplifiers and loudspeaker cabinets were sought by guitarists for its new sound and increased volume.You could go to their page to view all the musicians and bands who patronize them! It includes some of my faves such as Joe Perry of Aerosmith, Will of Bastille, Graham Coxon of Blur, Joe Trohman of Fallout Boy, John 5 of Rob Zombie, Slash, and even legendary musicians and bands such as AC/DC, Jimi Hendrix, Alice in Chains, Iron Maiden, Billy Gibbons of ZZ Top! So bongga! Now, here's an exciting news! 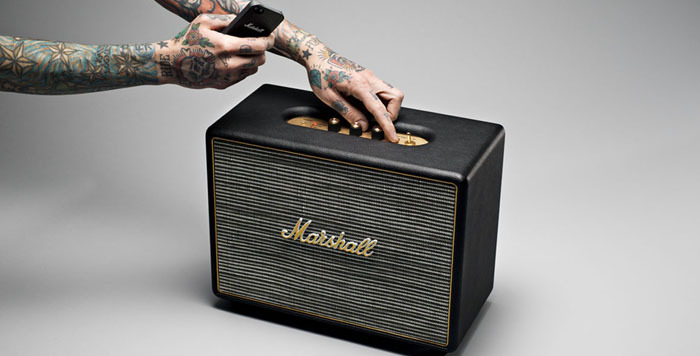 Marshall recently launched 5 new products and they're amazeballs. Marshall headphones and speakers, together with Marshall amplification, today introduce the Mode, Mode EQ, Acton and Woburn to the Philippines. Marshall Mode and Mode EQ both offer a huge sound in a small package. 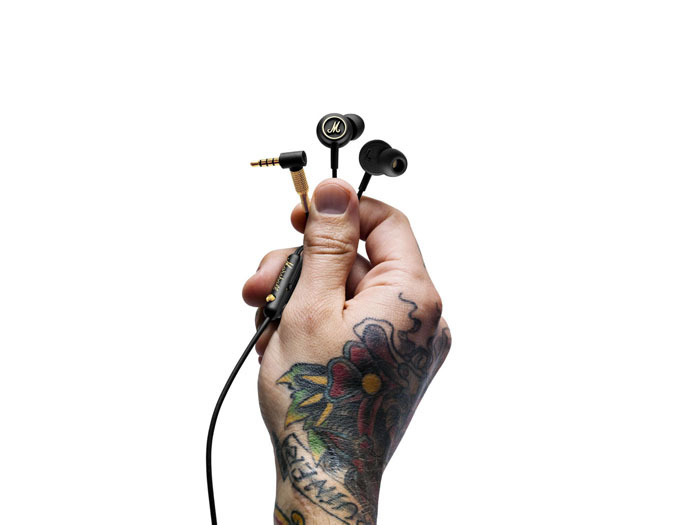 Customized drivers deliver high-output sound at minimal distortion, and the unique in-ear design anchors and provides a comfortable fit. The Mode comes in black with white brass while the Mode EQ comes in black with gold brass. They both have a remote feature with an updated wire clip, which allows you to easily attach the headphones to your T-shirt. The Mode EQ features a unique EQ switch on the remote, allowing you to customize your sound experience even more. It lets you choose between two sound steps EQ I, if you like a warmer, bass-heavy sound, and EQ II, if you prefer music brighter, with an emphasis on mids and highs. The Marshall Mode retails for P3,150, while the Marshall Mode EQ is available for P4,450. 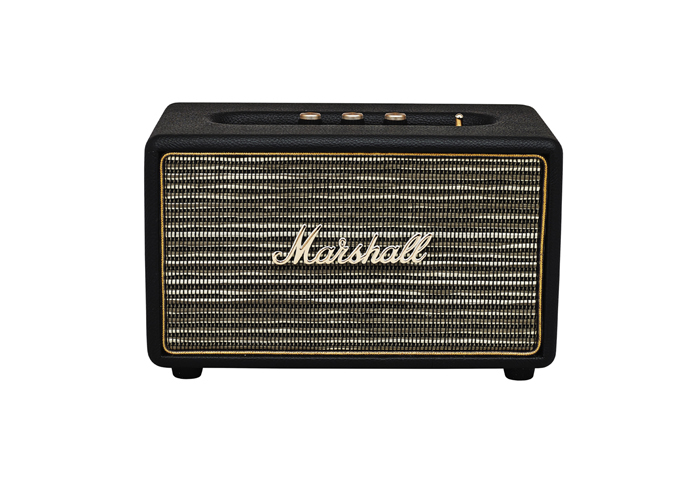 The Marshall ACTON Speaker in black or cream, is an impressive and compact active stereo speaker that’s packing some serious power into its stout frame. It’s powerful deep bass seems to defy the laws of nature for its small size. Acton’s custom control 3 analogue interaction knobs allow you to fine tune it to the exact sound you desire. The Marshall Acton is now available for P15,950. Just like the glory days of rock ‘n’ roll, the Marshall Woburn speaker is all about freedom, allowing you to play your music multiple ways. The Woburn is crafted to deliver accurate response throughout the frequency range with its unique sound and design and quality components. This loudspeaker hits high trebles cleanly, handles low bass with ease, and has a clear and lifelike mid range. The analog treble, bass, and volume knobs give you custom control of your sound. With two standby modes, powersaver and standard, it also minimizes the speaker’s environmental impact when not actively in use. The Marshall Woburn is now available for P28,500. Here are some photos from the launch! Media guests who brought rock memorabilias where called. The best one wins a speaker! Sarah brought her first edition vinyls! Ebe Dancel was there! Idol! I want this for my birthday pls. Hehe.